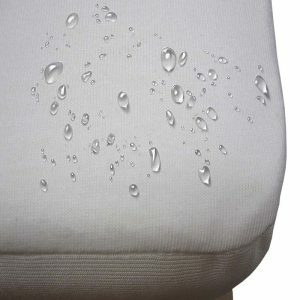 Home → Mattress Protectors → Gotcha Covered Organic Jersey Cotton Waterproof Mattress Protector → Something to keep a split king mattress from separating. 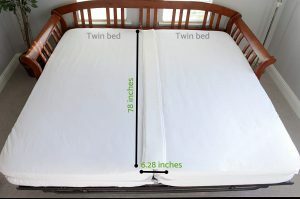 We have a split king mattress and need something to keep it from separating. I’ve read that you recommend something carried at Bed Bath & Beyond, that will do the job. Can you tell me what they call it? BB&B doesn’t seem to have that anymore. But you can pick one up online. It’s a vinyl strap that goes around the two mattresses and cinches them tightly together. It also has a “V” shaped piece of foam that you place along where the mattresses meet…to fill in that little gap between them.